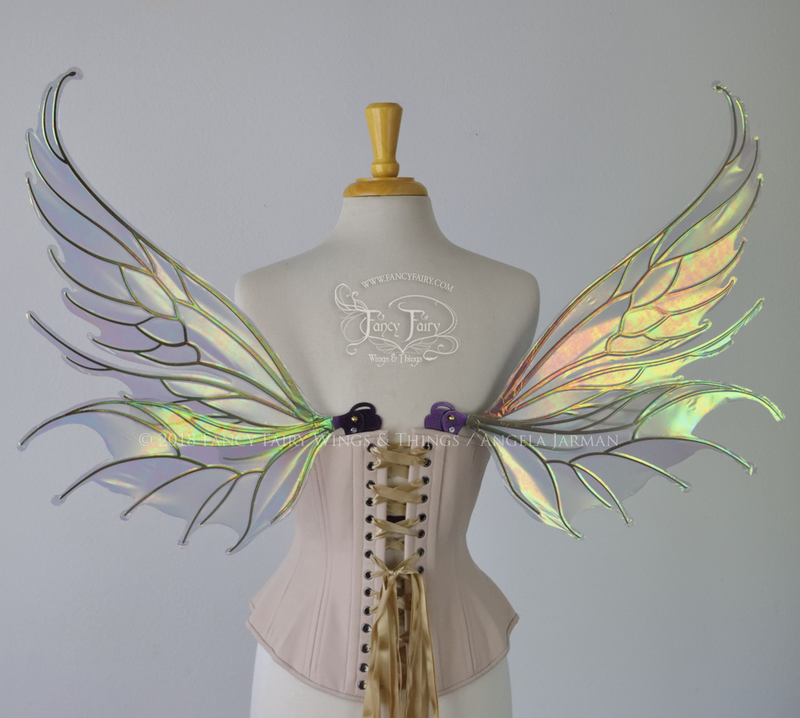 The Rest of the 2018 Ethereal Collection Fairy Wings Are Here! These 4 designs are the second half of the convertible 2018 Ethereal Collection, and they all are also done with the Chameleon Cherry Violet veining! They will be listed for sale at 10am Pacific Standard Time tomorrow morning, Saturday Nov. 3. 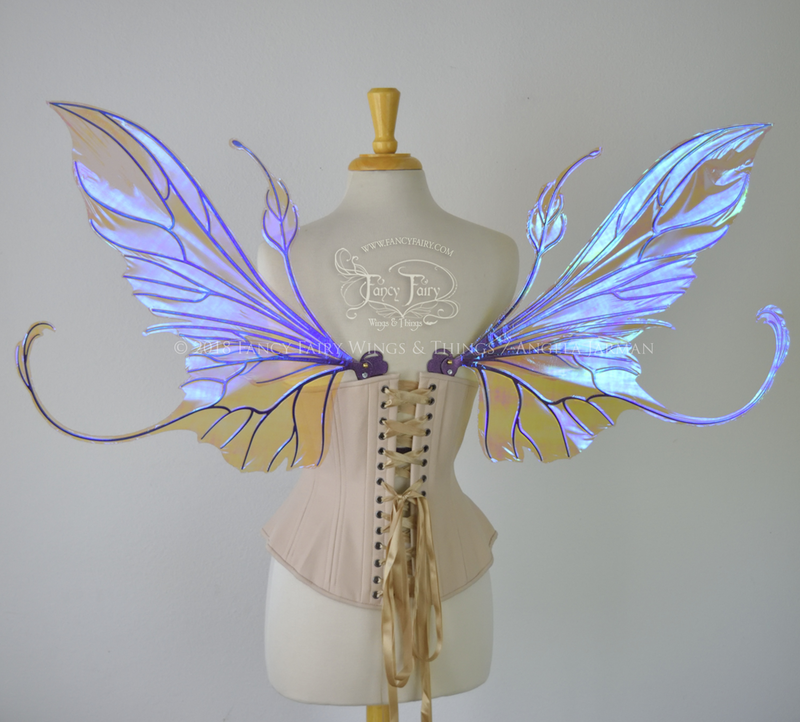 First up is Elvina, a feminine shape with curls and tendrils, done in iridescent Lilac. 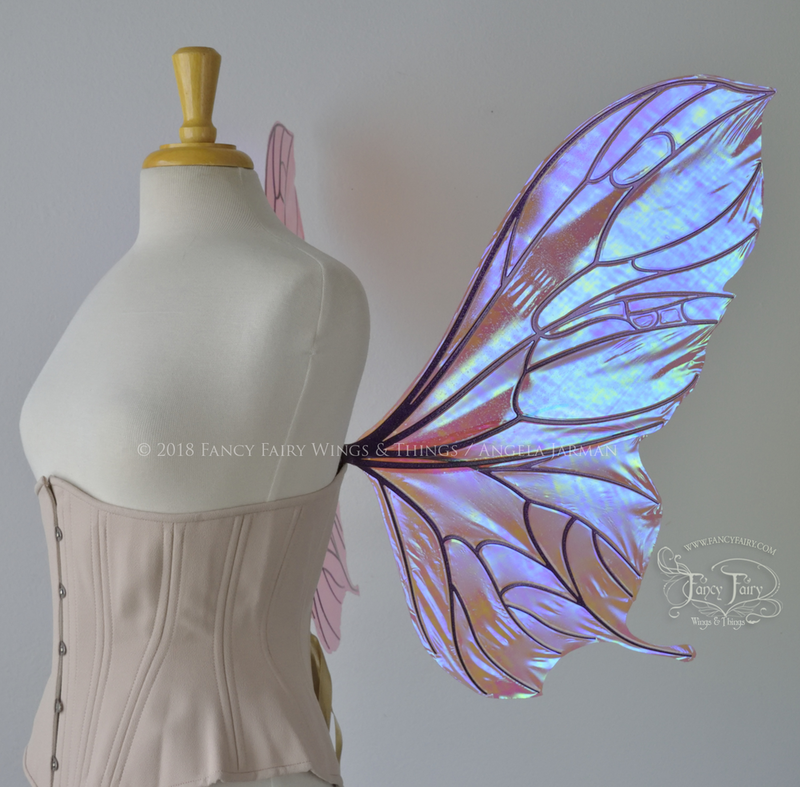 Next is Pansy, a very full butterfly-ish shape with a slightly Art Nouveau or Art Deco look to the veins, done in iridescent Berry. 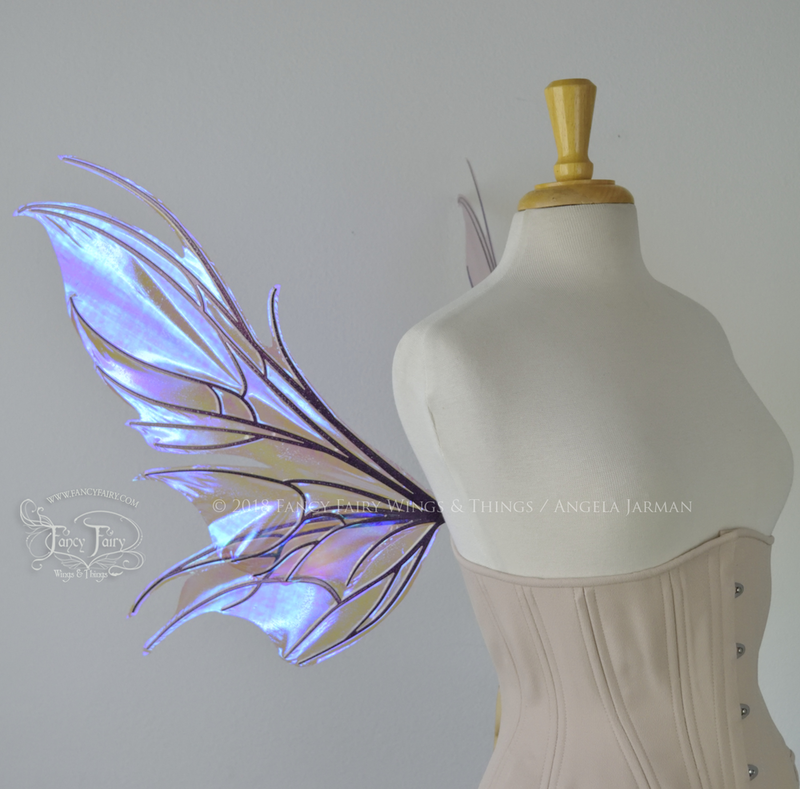 The third new design is the Nightshade, sort of the sister design to the classic Kira wings, done in iridescent Lilac. 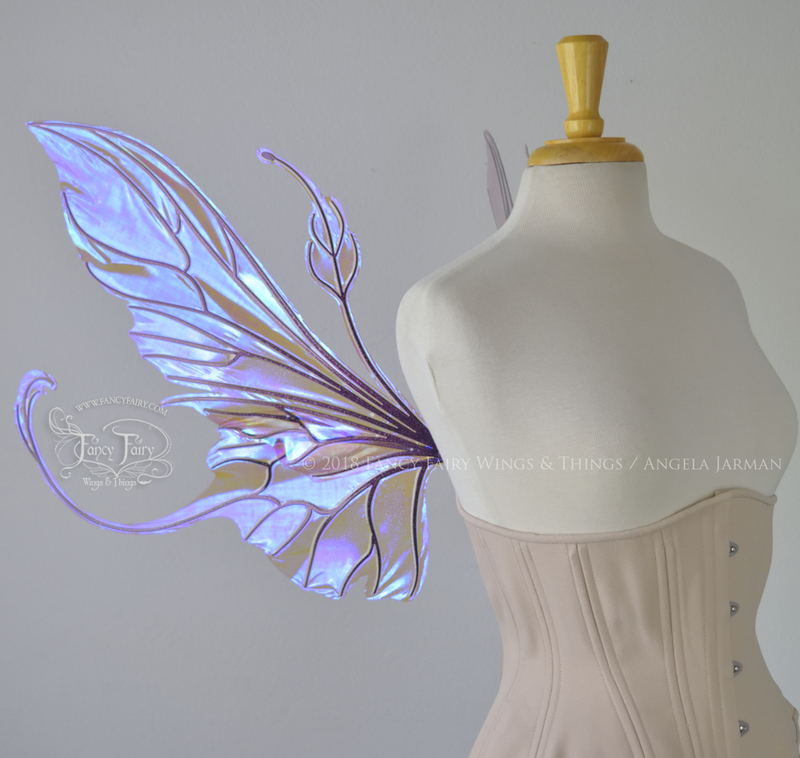 Finally, the Aquatica fairy wings, with upturned tips similar to the Vivienne design from the 2106 Edition, done in Patina Green, which shows off the violet glitter veins beautifully! 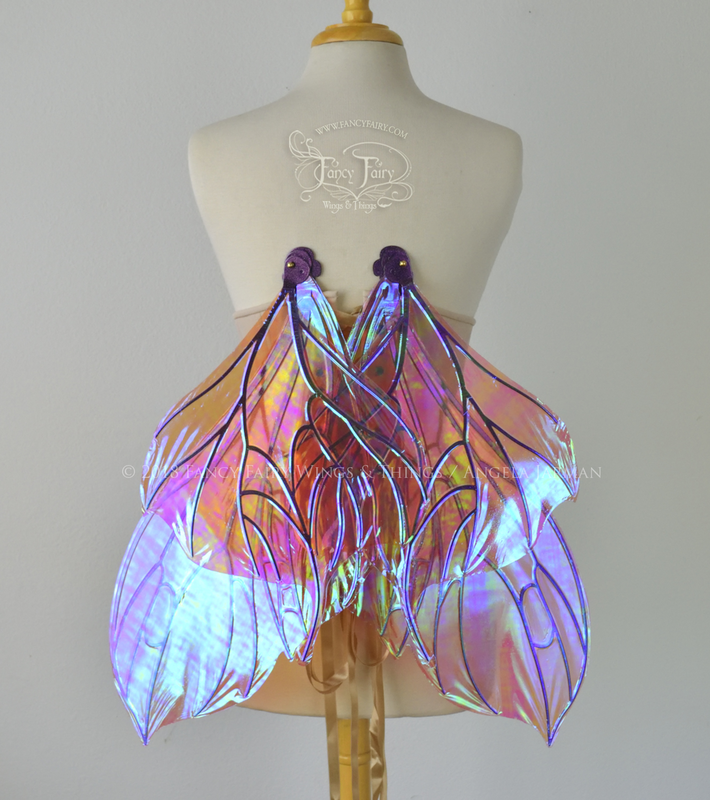 They would work well with sirens, mermaids, or even fire sprites! As usual, be ready right at 10am tomorrow morning as wings tend to sell out within the first 5 minutes. 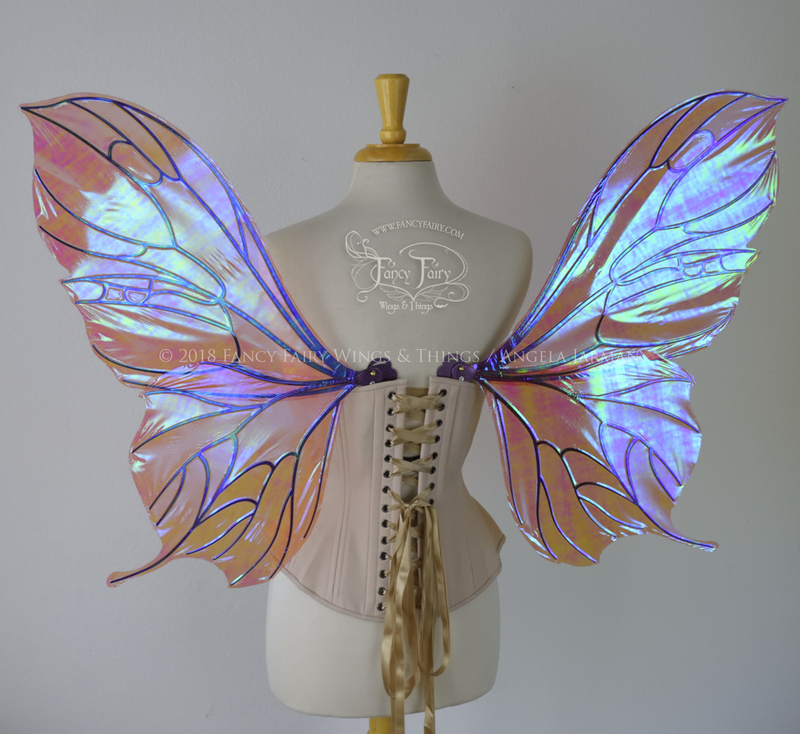 These are all convertible wings with detachable panels, the only older style that is not convertible are the Aphrodite wings.